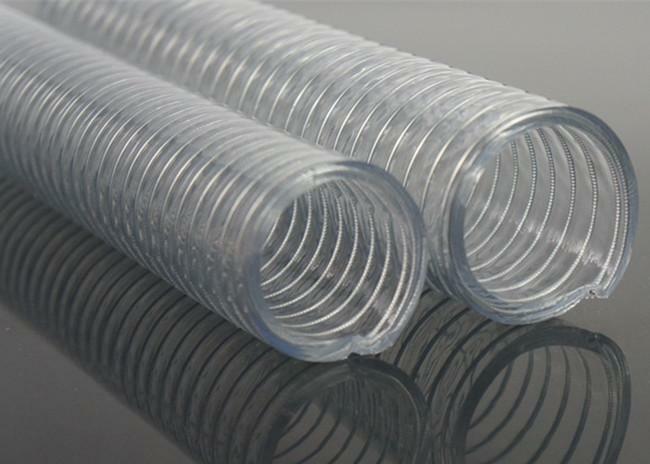 this pvc wire reinforced hose with good flexibility and transparency, it has low temperature resistance, acid-resisting, alkali-resisting, corrosivity resistance, anti-static, It is suitable for transportation of gasoline, diesel. Used for drawing and conveying water, oil and powder in factory, agriculture. ​used for drawing and conveying water, oil and powder in factory, agriculture. Quality & Service: our priority has always been providing our clients with great quality products and superior customer service. Quick Lead Time: We're dedicated to providing the quickest turnaround times and work very hard to ensure that all of your deadlines are met. Unbeatable Prices: we are manufacture, we continuously strive to find ways of reducing our production costs. Special Offers: order to maintain our competitive edge, we are constantly running special offers on our promotion gifts, consumer goods, and design services. Color: transparent, blue, green etc. 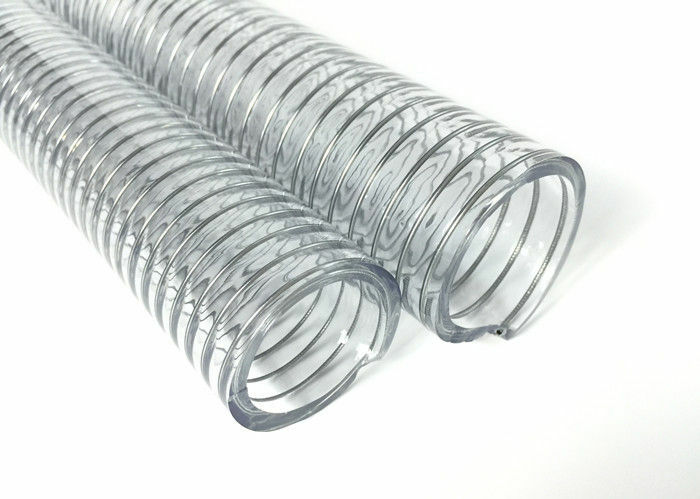 Feature: High pressure resistance, Tensile resistance etc.